So the U.S. and Russia has struck a deal, and the UN Security Council signed on. Syria will fork over its chemical weapons – probably – for destruction, eventually. The “international community” will destroy them. Problem solved. Assume Assad, the mass-murdering international outlaw with friends in high places, means to comply with this agreement, and not secretly transfer his lethal contraband to confederates such as Hezbollah or Iran to commit further war crimes. Assume this ruthless killer will be disabled for the foreseeable future from obtaining or using outlawed weapons of mass destruction, even as he becomes better assured of staying in power. Other would-be criminals against humanity will witness this outcome and draw appropriate lessons. What’s wrong with this picture? This chemical castration, if carried out, incapacitates Assad somewhat. Perhaps the memory of almost being degraded by U.S. missiles will convince him not to commit further war crimes, by either repeating this particular offense, or committing the next with nuclear or biological weapons. Imagine, and it’s a stretch, that other would-be murderers, similarly situated – say Iran, in the midst of its own charm offensive – feel deterred from their own contingently planned criminal behavior. Let’s stretch the scenario beyond the outer limits of reason. Imagine this new deal and near miss with U.S. missiles causes Assad to regret and repent the hundreds of children he gassed to death. He suddenly feels transformed with a new set of values that will hereafter restrain him from future mass murders of innocent civilians. According to this rosy but unrealistic picture in classic terms, the deal now struck between Russia and the U.S. at the UN incapacitates Assad, specifically deters him, generally deters others, and rehabilitates him. Furthermore, the vaguely written final text of an artfully crafted UN resolution denounces his despicable behavior in poison gassing a village while not specifically attributing responsibility to him. All traditional purposes of the criminal law have been served. “What about the murderer Bashar who gave the order?” Gen. Salim Idriss, the Syrian rebel commander, demanded of the powers that be, when both sides first announced the possible U.S./Russian deal. “Should we forget him?” Gen. Idriss rejected this dirty deal for one simple but deep-seated reason: It fails to punish the mass murder retributively. We too easily forget that justice means more than deterrence, incapacitation, rehabilitation, and denunciation. 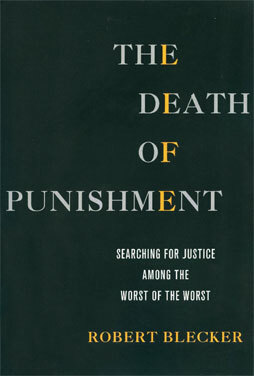 Justice for the worst of the worst requires retribution – actual, proportionate punishment. The vague UN resolution does threaten someday to punish ‘those responsible’ for the August attack without assigning blame. Likely, after Assad’s regime has crumbled, if he’s left alive, he’ll be punished for this or a thousand other crimes. Meanwhile, by setting a timetable for weapons’ destruction that assures Assad at least another year in power, the UN resolution rewards this crime against humanity — while the world rejoices at the peaceful resolution, without much caring whether the criminal gets his just deserts.